Do you have that one thing you spend too much money on just because you can’t live without it? After a small chat with a number of private homeowners and landlord in Plymouth, I realized that keeping their properties warm all year has been the largest cause of headaches. Most of them cited reasons ranging from frequent boiler breakdowns, gas safety issues to high energy bills as the main challenges, all of them boiling down to high annual spending. After a thoughtful analysis on the main challenges related to central heating, it was evident that more than 60% of these could be avoided or easily dealt with during the initial boiler installation. Most boiler breakdowns and energy inefficient result from improper installation may be done by unqualified engineers or deliberate errors made by dishonesty installers hoping for call backs and make more money. Eco Efficient Plymouth boiler installation is now here to help you avoid boiler problems and ensure optimal efficiency. Our installation services covers Torquay, Exeter, Launceston, Saltash, Tavistock and other areas within Plymouth region. Quality and accurate boiler installation – free from any errors or flaws. Timely energy efficient improvement tips. Free maintenance tips and boiler advice. If you need boiler installation or replacement in Plymouth, contact us and book an appointment with our experienced boiler pros near you. Our installation is performance focussed and cost effective. We are experts in the industry and using our years’ of experience in boiler installation, we are able to craft a unique solution to address your specific requirements based on: the structure size, how frequent and how long your boiler will remain on, and other factors affecting energy efficiency. Making The Right Boiler Choice –When choosing the right boiler to adequately and economically provide warmth in your home, Eco Efficient Plymouth will guide your selection based on your heating necessities, appropriate size, available and cheaper fuel and off course the best budget-efficiency balance. We ensure that you get high efficiency boiler that will supply just enough warmth to serve your need and no waste of energy. 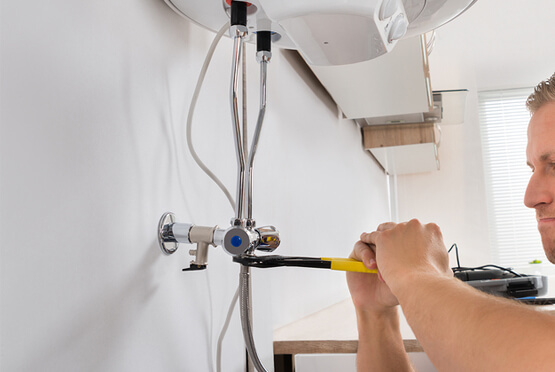 Proper Installation – Omissions and mistakes such as poor piping network when fitting your boiler can lead to other faults and in turn cost you a lot in terms of repairs and energy bills. We ensure accurate installation to prevent future faults and enhance boiler performance. Efficiency Improvement Recommendations – We analyse all factors that can lead to inefficiency and make the right improvements to help you reduce your monthly energy bill. These may include: proper insulation, radiator positioning and other good boiler installation practices. To choose quality installers, choose Eco Efficient Plymouth.